Jacob N. Shapiro is Professor of Politics and International Affairs at Princeton University and co-directs the Empirical Studies of Conflict Project. His active research projects study political violence, economic and political development in conflict zones, security policy, and urban conflict. He is the author of The Terrorist’s Dilemma: Managing Violent Covert Organizations. His research has been published or is forthcoming in a broad range of academic and policy journals including American Journal of Political Science, Foreign Affairs, Foreign Policy, International Organization, International Security, Journal of Political Economy, and World Politics as well as a number of edited volumes. 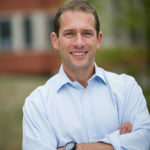 Shapiro is a term member of the Council on Foreign Relations, an Associate Editor of World Politics, a Faculty Fellow of the Association for Analytic Learning about Islam and Muslim Societies (AALIMS), a Research Fellow at the Center for Economic Research in Pakistan (CERP), and served in the U.S. Navy and Naval Reserve. Ph.D. Political Science, M.A. Economics, Stanford University. B.A. Political Science, University of Michigan.